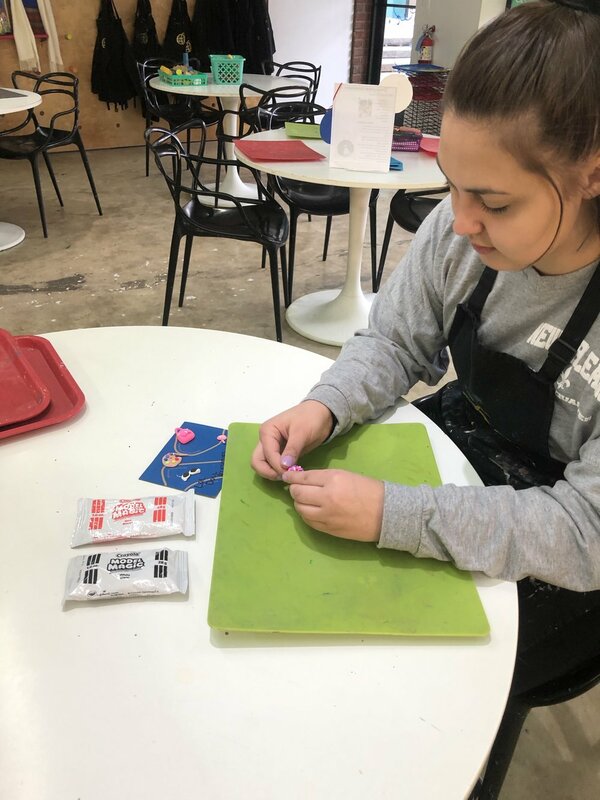 Who is better than The Art Project Studio Instructors to suggest durable, fun, easy-to-clean up art materials! Check out The Art Project’s Studio Instructors’ picks for favorite art materials for kids. It’s a tie between Crayola Washable Paint and Pacon Construction Paper! The washable paint we use mixes so well to create new colors and the clean up is always easy. Trust me, we’ve tried tons of brands of “washable paint” and Crayola is the best. It won’t stain your walls or your kids’ skin (believe it or not, some brands will…). I love using the construction paper for collage projects. It also takes any marker or crayon very well. Kwik Sticks are my favorite art material to recommend to everyone. They are tempera paint in a stick that dries in 90 seconds. They are great because kids can “paint” without having to wait for it dry. This makes it great for 3D cardboard projects, collages, wood and even decorating Easter Eggs! 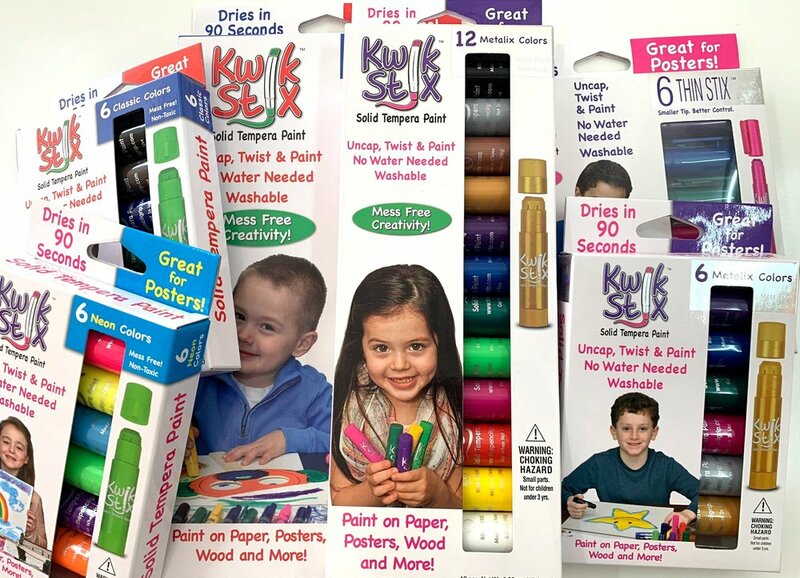 Parents will love giving these to kids at home because kids can “paint” without having to wash any paintbrushes or deal with any paint spilling everywhere. They are also just so satisfying to use. It’s not a typical art material, but my favorite is the Buddha Board! All you need is water to paint on the stone and kids can create so many “paintings” once the water evaporates. These watercolors are great for kids who are interested in learning all techniques of this medium. They layer and blend nicely. Plus they’re great for one of our studio’s favorite projects: oil pastels and watercolors! I love Kwik Sticks too! They glide on so smoothly and the colors are super vibrant- especially the neons and metallics. First of all, Model Magic is mess free and requires no oven, kiln or baking. It’s a great medium to use for the kid who wants to make something three-dimensional at home or on-the-go. Also, model magic is a great tool to teach kids how to mix colors. All you need are white and the primary colors and you can make the rainbow! Crayola Slick Stix’s are great! The colors are vibrant, and they’re great for the younger kids as it does not require much pressure to make a mark. Holiday Movie Crafts For Kids!